"Awesome #giveaway for #marketing people. 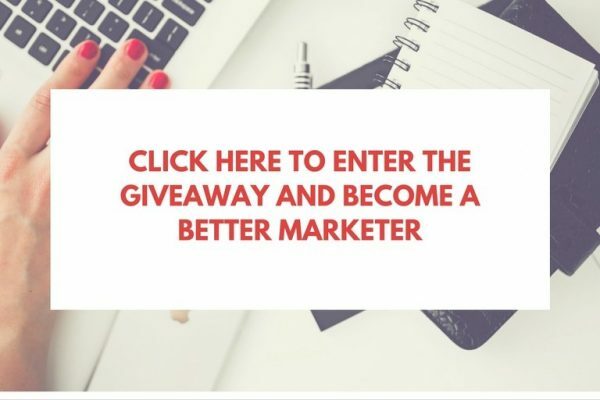 Win books from Neil Patel and Marketing Tools worth > $1,000 / year/user https://hdtk.co/WcmJZ"
Become a Better Marketer with the Squirrly Giveaway ! Thank you for your support. We've already surpassed the 100 supporters goal. We have 125 Total Prizes to give! Keep the registrations coming. There is no limit to how many people can participate. This is the First Step you need to take to Become a Participant. Make sure you show your support by clicking one of the support buttons above. (Support with: Twitter, Facebook, Tumblr, LinkedIN). You only need to show your support on one platform, but we'd be super excited if you chose more. 100% your choice. When we started Squirrly, we had one goal in mind: to grow a world of knowledge, just like squirrels grow thousands of trees each year. We've come a really long way since then. Join this HeadTalker Campaign. It's Step number one of our two-step process of Joining the Biggest Giveaway ever made by Squirrly. In honor of our 100,000 Squirrly SEO plugin users, we've decided to give back to the community and help you become better marketers. We are doing that through the #bettermarketer giveaway. Complete this first Step here on our HeadTalker Campaign. Then go back to the site to finish the second step, which will make you an Official Participant in our contest. The Giveaway's going to last from the 20th of September until the 16th of October. Anybody in our Worldwide audience can join and we'll announce the winners on the 20th of October. Keep supporting the campaign! Thank you for your support. We've already surpassed the 100 supporters goal. We have 125 Total Prizes to give! Keep the registrations coming. There is no limit to how many people can participate.